Spend your holiday in these nicely and functionally furnished holiday apartments, positioned at the end of the street, in the surroundings of an olive grove. CDT619 is situated on the second floor. Spend your holiday in these nicely and functionally furnished holiday apartments, positioned at the end of the street, in the surroundings of an olive grove. CDT619 is situated on the second floor. It is smaller and has a panoramic sea view. CDT864 is bigger. If you wish to spend your holiday with friends, the apartments can be rented together. 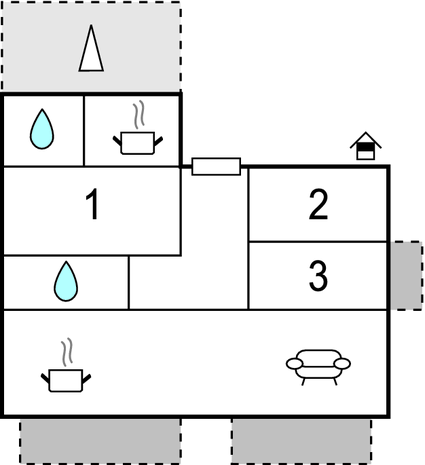 The house owner lives on the plot and is at guests’ disposal in case of any questions. The town of Makarska is located only 500 m away and offers plenty of entertainment, cultural and historical attractions, which will make your holiday even more interesting. This apartment is made from brick or stone and was originally built in 1985 and refurbished in 2007. The agent has rated it as a three star property so it is a well-kept apartment, equipped with standard furniture. It is also good value for money. 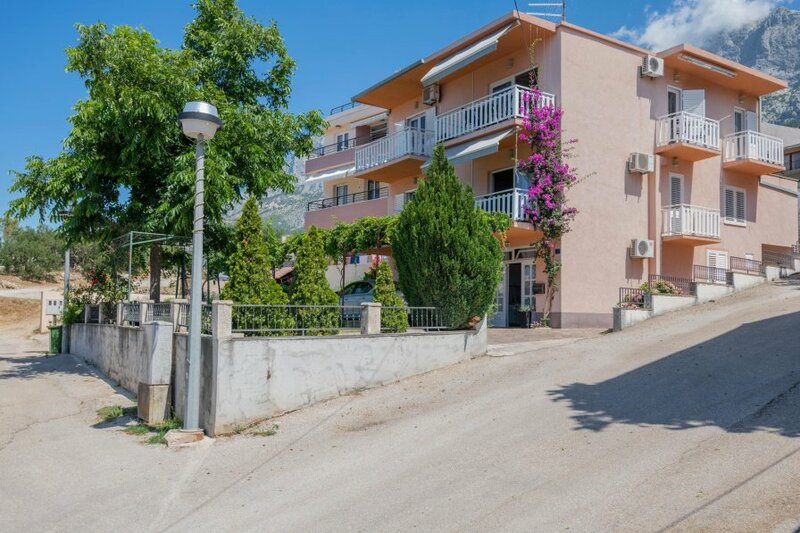 This apartment has sea view; it is also only 500 metres from Makarska. It is set in a very convenient location, just 500 metres away from a stone and pebble beach. There's also a restaurant only 300 metres away. The apartment has free wireless internet. You can also park on-site at no extra charge. The apartment is well equipped: it has a refrigerator, microwave, washing machine and dishwasher. It also has a shared barbecue and some shared garden furniture outside.